Nintendo announced this morning during their latest Nintendo Direct presentation that Platinum Games’ The Wonderful 101 will be released for the Wii U on September 15th in North America, and on August 23rd across Europe. 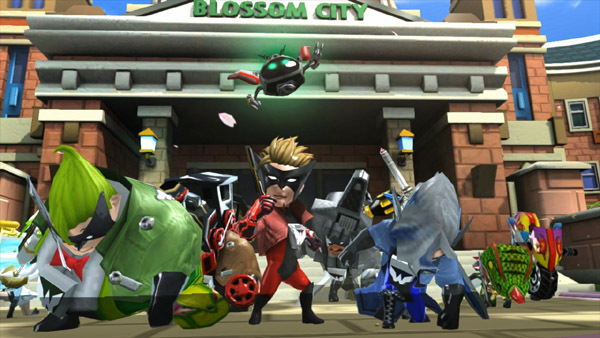 Platinum Games first debuted The Wonderful 101 under the working title Project P-100 back at E3 2012. The title was originally supposed to be released before March 31, 2013 as one of the Wii U’s many “launch window” titles. Sadly, like far too many of the games in that lineup, it was quietly delayed and pushed off the list shortly after the Wii U landed at retailers. For those who are just now hearing about Platinum Games’ Wii U title, The Wonderful 101 is a little bit like a cross between Pikmin and Costume Quest, with a Viewtiful Joe art style thrown in for good measure. Players control a group of superheroes who can transform into giant weapons to rescue survivors from an invading alien force. Once rescued, those same survivors can then be used as weapons against the very aliens that attacked them in the first place. It looks as fantastic and crazy as it sounds. Aside from the release date, no new information was announced about The Wonderful 101 during today’s Nintendo Direct presentation. Nintendo did, however, promise to provide more details about the game leading up to its launch this August/September.